In a multi-account environment where you require connectivity between accounts, and perhaps connectivity between cloud and on-premises workloads, the demand for a robust Domain Name Service (DNS) that’s capable of name resolution across all connected environments will be high. The most common solution is to implement local DNS in each account and use conditional forwarders for DNS resolutions outside of this account. While this solution might be efficient for a single-account environment, it becomes complex in a multi-account environment. Set up your Central DNS account. Set up each participating account. Configure on-premises DNS (if applicable). In this solution, you use AWS Directory Service for Microsoft Active Directory (AWS Managed Microsoft AD) as a DNS service in a dedicated account in a Virtual Private Cloud (DNS-VPC). The DNS service included in AWS Managed Microsoft AD uses conditional forwarders to forward domain resolution to either Amazon Route 53 (for domains in the awscloud.com zone) or to on-premises DNS servers (for domains in the example.com zone). You’ll use AWS Managed Microsoft AD as the primary DNS server for other application accounts in the multi-account environment (participating accounts). A participating account is any application account that hosts a VPC and uses the centralized AWS Managed Microsoft AD as the primary DNS server for that VPC. Each participating account has a private, hosted zone with a unique zone name to represent this account (for example, business_unit.awscloud.com). You associate the DNS-VPC with the unique hosted zone in each of the participating accounts, this allows AWS Managed Microsoft AD to use Route 53 to resolve all registered domains in private, hosted zones in participating accounts. In this diagram, all VPCs in participating accounts use Dynamic Host Configuration Protocol (DHCP) option sets. The option sets configure EC2 instances to use the centralized AWS Managed Microsoft AD in DNS-VPC as their default DNS Server. You also configure AWS Managed Microsoft AD to use conditional forwarders to send domain queries to Route53 or on-premises DNS servers based on query zone. For domain resolution across accounts to work, we associate DNS-VPC with each hosted zone in participating accounts. 1.1: server.pa1.awscloud.com sends domain name lookup to default DNS server for the name server.pa3.awscloud.com. The request is forwarded to the DNS server defined in the DHCP option set (AWS Managed Microsoft AD in DNS-VPC). 1.2: AWS Managed Microsoft AD forwards name resolution to Route53 because it’s in the awscloud.com zone. 1.3: Route53 resolves the name to the IP address of server.pa3.awscloud.com because DNS-VPC is associated with the private hosted zone pa3.awscloud.com. 2.1: server.example.com sends domain name lookup to on-premise DNS server for the name server.pa3.awscloud.com. 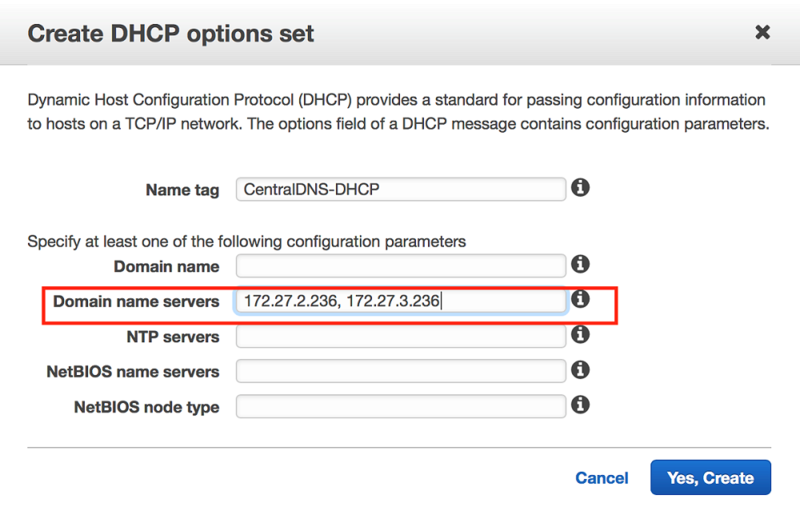 2.2: on-premise DNS server using conditional forwarder forwards domain lookup to AWS Managed Microsoft AD in DNS-VPC. In previous AWS Security Blog posts, Drew Dennis covered a couple of options for establishing DNS resolution between on-premises networks and Amazon VPC. 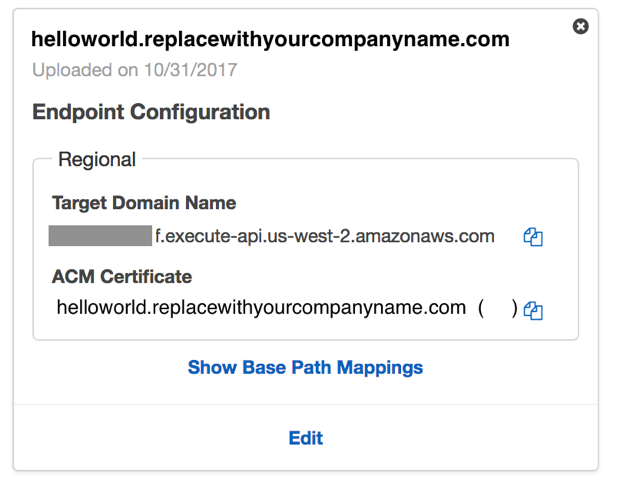 In this post, he showed how you can use AWS Managed Microsoft AD (provisioned with AWS Directory Service) to provide DNS resolution with forwarding capabilities. To set up a centralized DNS account, you can follow the same steps in Drew’s post to create AWS Managed Microsoft AD and configure the forwarders to send DNS queries for awscloud.com to default, VPC-provided DNS and to forward example.com queries to the on-premise DNS server. The VPC that hosts AWS Managed Microsoft AD (DNS-VPC) will be associated with all private hosted zones in participating accounts. To be able to resolve domain names across AWS and on-premises, connectivity through Direct Connect or VPN must be in place. The steps I suggest in this section should be applied individually in each application account that’s participating in central DNS resolution. Create the VPC(s) that will host your resources in participating account. Create VPC Peering between local VPC(s) in each participating account and DNS-VPC. Create a private hosted zone in Route 53. Hosted zone domain names must be unique across all accounts. In the diagram above, we used pa1.awscloud.com / pa2.awscloud.com / pa3.awscloud.com. You could also use a combination of environment and business unit: for example, you could use pa1.dev.awscloud.com to achieve uniqueness. 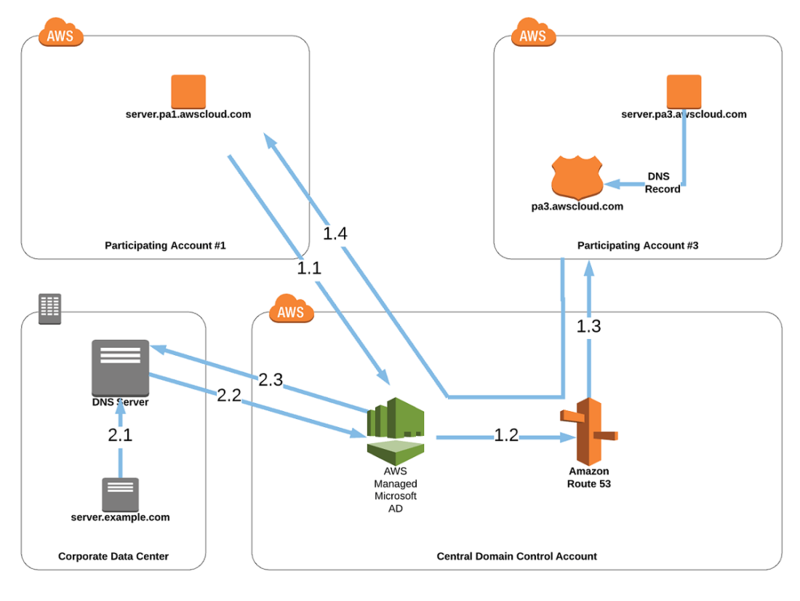 Associate VPC(s) in each participating account with the local private hosted zone. Follow these steps to assign the DHCP option set to your VPC(s) in participating account. The next steps will associate DNS-VPC with the private, hosted zone in each participating account. This allows instances in DNS-VPC to resolve domain records created in these hosted zones. If you need them, here are more details on associating a private, hosted zone with VPC on a different account. In each participating account, create the authorization using the private hosted zone ID from the previous step, the region, and the VPC ID that you want to associate (DNS-VPC). In the centralized DNS account, associate DNS-VPC with the hosted zone in each participating account. After completing these steps, AWS Managed Microsoft AD in the centralized DNS account should be able to resolve domain records in the private, hosted zone in each participating account. This step is necessary if you would like to resolve AWS private domains from on-premises servers and this task comes down to configuring forwarders on-premise to forward DNS queries to AWS Managed Microsoft AD in DNS-VPC for all domains in the awscloud.com zone. The steps to implement conditional forwarders vary by DNS product. Follow your product’s documentation to complete this configuration. I introduced a simplified solution to implement central DNS resolution in a multi-account environment that could be also extended to support DNS resolution between on-premise resources and AWS. This can help reduce operations effort and the number of resources needed to implement cross-account domain resolution. If you have feedback about this post, submit comments in the Comments section below. If you have questions about this post, start a new thread on the AWS Directory Service forum or contact AWS Support. In addition to website blocking which is running rampant across dozens of countries right now, targeting the domains of pirate sites is considered to be a somewhat effective anti-piracy tool. The vast majority of websites are found using a recognizable name so when they become inaccessible, site operators have to work quickly to get the message out to fans. That can mean losing visitors, at least in the short term, and also contributes to the rise of copy-cat sites that may not have users’ best interests at heart. Nevertheless, crime-fighting has always been about disrupting the ability of the enemy to do business so with this in mind, authorities in India began taking advice from the UK’s Police Intellectual Property Crime Unit (PIPCU) a couple of years ago. After studying the model developed by PIPCU, India formed its Digital Crime Unit (DCU), which follows a multi-stage plan. Initially, pirate sites and their partners are told to cease-and-desist. Next, complaints are filed with advertisers, who are asked to stop funding site activities. Service providers and domain registrars also receive a written complaint from the DCU, asking them to suspend services to the sites in question. Last July, the DCU earmarked around 9,000 sites where pirated content was being made available. 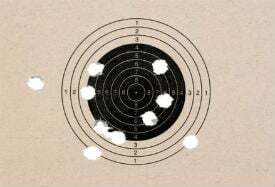 From there, 1,300 were placed on a shortlist for targeted action. Precisely how many have been contacted thus far is unclear but authorities are now reporting success. According to local reports, the Maharashtra government’s Digital Crime Unit has managed to have 11 pirate site domains suspended following complaints from players in the entertainment industry. As is often the case (and to avoid them receiving even more attention) the sites in question aren’t being named but according to Brijesh Singh, special Inspector General of Police in Maharashtra, the sites had a significant number of visitors. Their domain registrars were sent a notice under Section 149 of the Code Of Criminal Procedure, which grants police the power to take preventative action when a crime is suspected. It’s yet to be confirmed officially but it seems likely that pirate sites utilizing local registrars were targeted by the authorities. “Responding to our notice, the domain names of all these websites, that had a collective viewership of over 80 million, were suspended,” Singh said. Laxman Kamble, a police inspector attached to the state government’s Cyber Cell, said the pilot project was launched after the government received complaints from Viacom and Star but back in January there were reports that the MPAA had also become involved. Using the model pioneered by London’s PIPCU, 19 parameters were applied to list of pirate sites in order to place them on the shortlist. They are reported to include the type of content being uploaded, downloaded, and the number of downloads overall. Kamble reports that a further 89 websites, that have domains registered abroad but are very popular in India, are now being targeted. Whether overseas registrars will prove as compliant will remain to be seen. After booking initial success, even PIPCU itself experienced problems keeping up the momentum with registrars. In 2014, information obtained by TorrentFreak following a Freedom of Information request revealed that only five out of 70 domain registrars had complied with police requests to suspend domains. A year later, PIPCU confirmed that suspending pirate domain names was no longer a priority for them after ICANN ruled that registrars don’t have to suspend domain names without a valid court order. The General Data Protection Regulation (GDPR) is a regulation in EU law covering data protection and privacy for all individuals within the European Union. As more and more personal data is gathered, stored and (ab)used online, the aim of the GDPR is to protect EU citizens from breaches of privacy. The regulation applies to all companies processing the personal data of subjects residing in the Union, no matter where in the world the company is located. Penalties for non-compliance can be severe. While there is a tiered approach according to severity, organizations can be fined up to 4% of annual global turnover or €20 million, whichever is greater. Needless to say, the regulations will need to be taken seriously. Among those affected are domain name registries and registrars who publish the personal details of domain name owners in the public WHOIS database. In a full entry, a person or organization’s name, address, telephone numbers and email addresses can often be found. This raises a serious issue. While registries and registrars are instructed and contractually obliged to publish data in the WHOIS database by global domain name authority ICANN, in millions of cases this conflicts with the requirements of the GDPR, which prevents the details of private individuals being made freely available on the Internet. But the proposed changes that will inevitably restrict free access to WHOIS information has plenty of people spooked, including thousands of companies belonging to entertainment industry groups such as the MPAA, IFPI, RIAA and the Copyright Alliance. 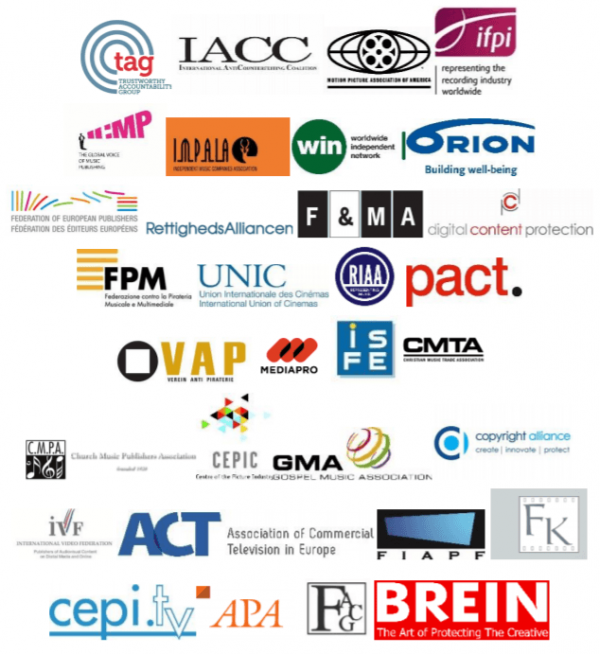 In a letter sent to Vice President Andrus Ansip of the European Commission, these groups and dozens of others warn that restricted access to WHOIS will have a serious effect on their ability to protect their intellectual property rights from “cybercriminals” which pose a threat to their businesses. Signed by 50 organizations involved in IP protection and other areas of online security, the letter expresses concern that in attempting to comply with the GDPR, ICANN is on a course to “over-correct” while disregarding proportionality, accountability and transparency. “We strongly assert that this model does not properly account for the critical public and legitimate interests served by maintaining a sufficient amount of data publicly available while respecting privacy interests of registrants by instituting a tiered or layered access system for the vast majority of personal data as defined by the GDPR,” the groups write. In response to ICANN’s proposal that only the province/state and country of a domain name registrant be made publicly available, the groups advise the organization that publishing “a natural person registrant’s e-mail address” in a publicly accessible WHOIS directory will not constitute a breach of the GDPR. “[W]e strongly believe that the continued public availability of the registrant’s e-mail address – specifically the e-mail address that the registrant supplies to the registrar at the time the domain name is purchased and which e-mail address the registrar is required to validate – is critical for several reasons,” the groups write. “First, it is the data element that is typically the most important to have readily available for law enforcement, consumer protection, particularly child protection, intellectual property enforcement and cybersecurity/anti-malware purposes. “Second, the public accessibility of the registrant’s e-mail address permits a broad array of threats and illegal activities to be addressed quickly and the damage from such threats mitigated and contained in a timely manner, particularly where the abusive/illegal activity may be spawned from a variety of different domain names on different generic Top Level Domains,” they add. The EFF, on the other hand, says that being able to contact a domain owner wouldn’t necessarily require an email address to be made public. “There are other cases in which it makes sense to allow members of the public to contact the owner of a domain, without having to obtain a court order,” EFF writes. The groups’ second main concern is that ICANN reportedly makes no distinction between name registrants that are “natural persons versus those that are legal entities” and intends to treat them all as if they are subject to the GDPR, despite the fact that the regulation only applies to data associated with an “identified or identifiable natural person”. They say it is imperative that EU Data Protection Authorities are made to understand that when registrants obtain a domain for illegal purposes, they often only register it as a “natural person” when registering as a legal person (legal entity) would be more appropriate, despite that granting them less privacy. “Consequently, the test for differentiating between a legal and natural person should not merely be the legal status of the registrant, but also whether the registrant is, in fact, acting as a legal or natural person vis a vis the use of the domain name,” the groups note. “We therefore urge that ICANN be given appropriate guidance as to the importance of maintaining a distinction between natural person and legal person registrants and keeping as much data about legal person domain name registrants as publicly accessible as possible,” they conclude. What will happen with WHOIS on May 25 still isn’t clear. It wasn’t until October 2017 that ICANN finally determined that it would be affected by the GDPR, meaning that it’s been scrambling ever since to meet the compliance date. And it still is, according to the latest available documentation (pdf). There are many methods used by copyright holders and the authorities in their quest to disable access to pirate sites. Site blocking is one of the most popular but pressure can also be placed on web hosts to prevent them from doing business with questionable resources. A skip from one host to another usually solves the problem, however. Another option is to target sites’ domains directly, by putting pressure on their registrars. It’s a practice that has famously seen The Pirate Bay burn through numerous domains in recent years, only for it to end up back on its original domain, apparently unscathed. Other sites, it appears, aren’t always so lucky. As a full member of IFPI, the Peruvian Union of Phonographic Producers (UNIMPRO) protects the rights of record labels and musicians. Like its counterparts all over the world, UNIMPRO has a piracy problem and a complaint filed against four ‘pirate’ sites will now force the world’s largest domain registrar into action. Mp3Juices-Download-Free.com, Melodiavip.net, Foxmusica.site and Fulltono.me were all music sites offering MP3 content without the copyright holders’ permission. None are currently available but the screenshot below shows how the first platform appeared before it was taken offline. Following a complaint against the sites by UNIMPRO, the Copyright Commission (Comisión de Derecho de Autor) conducted an investigation into the platforms’ activities. 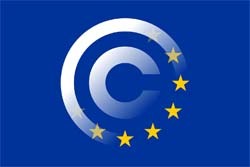 The Commission found that the works they facilitated access to infringed copyright. It was also determined that each site generated revenue from advertising. Given the illegal nature of the sites and the high volume of visitors they attract, the Commission determined that they were causing “irreparable damage” to legitimate copyright holders. Something, therefore, needed to be done. 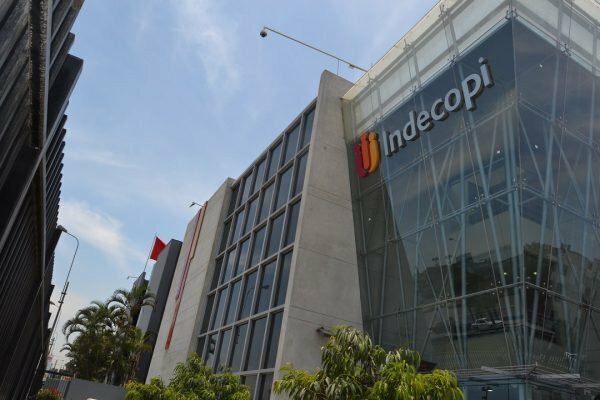 The action against the sites involved the National Institute for the Defense of Competition and the Protection of Intellectual Property (Indecopi), an autonomous public body of the Peruvian state tasked with handling anti-competitive behavior, unfair competition, and intellectual property matters. After assessing the evidence, Indecopi, through the Copyright Commission, issued precautionary (interim) measures compelling US-based GoDaddy, the world’s largest domain registrar which handles the domains for all four sites, to suspend them with immediate effect. “The Copyright Commission of INDECOPI issued four precautionary measures in order that the US company Godaddy.com, LLC (in its capacity as registrar of domain names) suspend the domains of four websites, through which it would have infringed the legislation on Copyright and Related Rights, by making available a large number of musical phonograms without the corresponding authorization, to the detriment of its legitimate owners,” Indecopi said in a statement. Indecopi says that GoDaddy can file an appeal against the decision. At the time of writing, none of the four domains currently returns a working website. TorrentFreak has requested a comment from GoDaddy but at the time of publication, we were yet to receive a response. While site-blocking on copyright infringement grounds is now widespread, in most countries it requires intervention from the courts. The process nearly always involves rightsholders grouping together with claims that customers of ISPs are infringing their rights by using ‘pirate’ sites to obtain movies, TV shows and music. As such, it isn’t pirate sites that are targeted by rightsholder legal action, but the ISPs themselves. Of course, none of the ISPs targeted are breaking the law by providing access to the sites. However, the demands for a blocking injunction frame the ISPs as the wrong-doers, even if there is an underlying understanding that the pirate sites themselves are the issue. For this reason, ISPs around the world have regularly found themselves in an adversarial process. In the Netherlands, for example, ISPs took their fight to the highest court in Europe to avoid blocking but will almost certainly fail after spending large sums of money. In others, such as the UK where the blocking process has matured, ISPs rarely object to anything, smoothing the process for both them and the rightsholders. With the knowledge that site-blocking injunctions are likely to be granted by national courts in Europe, rightsholders and ISPs in Belgium now appear to be taking a collaborative approach. Sites have been blocked in the country before but future blocking efforts will be much easier to implement if a case before the Commercial Court of Brussels runs to plan. It involves the Belgian Entertainment Association (BEA) on one side and ISPs Proximus, Telenet and VOO on the other. Rather than squabbling over the details, it appears that the parties will jointly present a list of 33 websites and 450 domain names to a judge, alongside claims that they facilitate the illegal downloading of copyrighted material. According to a report from L’Echo (paywall), the companies hope to avoid complex and costly legal proceedings by working together and accepting the inevitability of a blocking injunction. The case has been running for a year already but during a hearing before the Commercial Court of Brussels this week, Benoît Michaux, lawyer for the Belgian Entertainment Association, explained the new approach. “The European legislator has put in place a mechanism that allows a national judge to request injunctions to order the providers to block access to the websites in question”, Michaux said. After being presented to the Court, the list of sites and domains will be assessed to determine whether they’re acting illegally. Michaux said that the parties have settled on a common approach and have been able to identify “reasonable measures” that can be ordered by the Court that are consistent with case law of the European Court of Justice. “This joint request is a little unusual, things are changing, there is a certain maturation of minds, we realize, from all sides, that we must tackle the problem of piracy by blocking measures. There is a common vision on what to do and how to handle piracy,” he said. While the ISPs are clearly on a path of cooperation, L’Echo reports that concerns over possible breaches of the E-Commerce Directive mean that the ISPs don’t want to take action against the sites themselves without being ordered to do so by the Court. “The responsible actors want to demonstrate that it is possible to stop piracy through procedural law,” says Benoît Van Asbroeck, lawyer for Proximus and Telenet. The Court is expected to hand down its judgment within a month. Given the cooperation on all sides, it’s likely to be in favor of mass site-blocking. According to local prosecutors who have handled many copyright infringement cases over the past decade, Sweden is nowhere near tough enough on those who commit online infringement. With this in mind, the government sought advice on how such crimes should be punished, not only more severely, but also in proportion to the damages alleged to have been caused by defendants’ activities. The corresponding report was returned to Minister for Justice Heléne Fritzon earlier this month by Council of Justice member Dag Mattsson. The paper proposed a new tier of offenses that should receive special punishment when there are convictions for large-scale copyright infringement and “serious” trademark infringement. Partitioning the offenses into two broad categories, the report envisions those found guilty of copyright infringement or trademark infringement “of a normal grade” may be sentenced to fines or imprisonment up to a maximum of two years. For those at the other end of the scale, engaged in “cases of gross crimes”, the penalty sought is a minimum of six months in prison and not more than six years. The proposals have been criticized by those who feel that copyright infringement shouldn’t be put on a par with more serious and even potentially violent crimes. On the other hand, tools to deter larger instances of infringement have been welcomed by entertainment industry groups, who have long sought more robust sentencing options in order to protect their interests. In the middle, however, are Internet service providers such as Bahnhof, who are often dragged into the online piracy debate due to the allegedly infringing actions of some of their customers. In a statement on the new proposals, the company is clear on why Sweden is preparing to take such a tough stance against infringement. 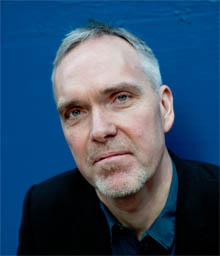 “It’s not a daring guess that media companies are asking for Sweden to tighten the penalty for illegal file sharing and streaming,” says Bahnhof lawyer Wilhelm Dahlborn. Bahnhof chief Jon Karlung, who is never afraid to speak his mind on such matters, goes a step further. He believes the initiative amounts to a gift to the United States. “It’s nothing but a commission from the American film industry,” Karlung says. Bahnhof notes that the proposals for the toughest extended jail sentences aren’t directly aimed at petty file-sharers. However, the introduction of a new offense of “gross crime” means that the limitation period shifts from the current five years to ten. It also means that due to the expansion of prison terms beyond two years, secret monitoring of communications (known as HÖK) could come into play. “If the police have access to HÖK, it can be used to get information about which individuals are file sharing,” warns Bahnhof lawyer Wilhelm Dahlborn. As noted in our earlier report, the new proposals also include measures that would enable the state to confiscate all kinds of property, both physical items and more intangible assets such as domain names. Bahnhof also takes issue with this, noting that domains are not the problem here. “In our opinion, it is not the domain name which is the problem, it is the content of the website that the domain name points to,” the company says. Under the new proposals, damage to rightsholders and monetary gain by the defendant would also be taken into account when assessing whether a crime is “gross” or not. This raises questions as to what extent someone could be held liable for piracy when a rightsholder maintains damage was caused yet no profit was generated. Following complaints from Disney, 20th Century Fox, Paramount, Sony, Universal and Warner, a court in Spain recently ordered local ISPs to block HDFull.tv and Repelis.tv, a pair of popular pirate sites. Citing changes in local law which helped facilitate the action, the MPA welcomed the blockades as necessary to prevent further damage to the creative industries. Now, just a week later, it seems that Spain really has the bit between its teeth. An announcement from the Guardia Civil (Civil Guard), the oldest law enforcement agency in the country, reveals that almost two dozen websites have just been blocked for infringing intellectual property rights. “The Civil Guard, within the framework of the ‘Operation CASCADA’, has initiated a campaign to block websites that allow people to download content protected by copyright and disseminate them through links in P2P networks, that is, networks of computers that work without fixed servers,” the Civil Guard said in a statement. “In this first phase, a total of 23 web domains have been blocked from which direct download links of all kinds of protected audiovisual material such as movies, series, music and video games were accessed, many of them of recent creation and without being released yet in our country. A full list of websites and domains hasn’t yet been provided by the authorities but familiar names including divxtotal.com and gamestorrents.com are confirmed to be included in the first wave. The Civil Guard, which is organized as a military force under the authority of the Ministry of the Interior and Ministry of Defense, said that the administrators of the sites operate their platforms from abroad, generating advertising revenue from Spanish visitors who are said to make up 80% of the sites’ traffic. In common with similar sites, the authorities accuse their owners of taking evasive action to avoid being shut down, including hiding the true location of their servers while moving them from country to country and masking domain registration data. “Cases have been detected in which previously judicially blocked domains were reactivated in a matter of hours, with practically identical domain names or even changing only the extension thereof. In this way, and even if several successive blocks were made, they were able to ‘resurrect’ the web pages again in a very short space of time,” the Civil Guard reports. According to the authorities, the sites are now being continuously monitored, with replacement domains being blocked in less than three hours. That doesn’t appear to have been the case yesterday, however. It’s claimed that the blocked sites were created by “a person of Spanish origin” who subsequently sold them to a company in Argentina. On Thursday, Argentina-based site Dixv.com.ar fired back against the blockade with a new site called Yadivx.com, which is reportedly serving all of the former’s content to users in Spain. The sites’ owners continue to administer the rogue sites from Argentina, Spanish authorities believe. Only time will tell who will emerge victorious but at least for now, the sites are remaining defiant. Ever since the infamous Pirate Bay trial more than a decade ago, prosecutors in Sweden have called for a tougher approach to breaches of copyright law. In general terms, the country has been painted as soft on infringement but that could all be about to change. After reaching the conclusion that penalties in Sweden “appear to be low” when compared to those on the international stage, the government sought advice on how such crimes can be punished, not only more severely, but also in proportion to the alleged damage caused. In response, Minister for Justice Heléne Fritzon received a report this week. It proposes a new tier of offenses with “special” punishments to tackle large-scale copyright infringement and “serious” trademark infringement. Presented by Council of Justice member Dag Mattsson, the report envisions new criminal designations and crime being divided into two levels of seriousness. “A person who has been found guilty of copyright infringement or trademark infringement of a normal grade may be sentenced to fines or imprisonment up to a maximum of two years,” the government notes. Last year the Supreme Court found that although prison sentences can be handed down in such cases, there were no legislative indications that copyright infringement should be penalized via a term of imprisonment. For an idea of the level of change, one only need refer to The Pirate Bay case, which would undoubtedly be considered as “gross infringement” under the new proposals. Under the new rules, defendants Peter Sunde, Fredrik Neij and Carl Lundström would be sentenced to a minimum of six months and a maximum of six years. As things stood, with infringement being dealt with via fines or up to two years’ imprisonment, they were sentenced to prison terms of eight, ten and four months respectively. Under the new proposals, damage to rightsholders and monetary gain by the defendant would be taken into account when assessing whether a crime is “gross” or not. This raises the question of whether someone sharing a single pre-release movie could be deemed a gross infringer even if no money was made. Also of interest are proposals that would enable the state to confiscate all kinds of property, both physical items and more intangible assets such as domain names. This proposal is a clear nod towards the Pirate Bay case which dragged on for several years before the state was able to take over its thepiratebay.se domain. “Today there is organized online piracy that has major consequences for the whole community,” Minister Fritzon said in a statement. The legislative amendments are proposed to enter into force on July 1, 2019. Amazon EMR enables data analysts and scientists to deploy a cluster running popular frameworks such as Spark, HBase, Presto, and Flink of any size in minutes. When you launch a cluster, Amazon EMR automatically configures the underlying Amazon EC2 instances with the frameworks and applications that you choose for your cluster. This can include popular web interfaces such as Hue workbench, Zeppelin notebook, and Ganglia monitoring dashboards and tools. These web interfaces are hosted on the EMR master node and must be accessed using the public DNS name of the master node (master public DNS value). The master public DNS value is dynamically created, not very user friendly and is hard to remember— it looks something like ip-###-###-###-###.us-west-2.compute.internal. Not having a friendly URL to connect to the popular workbench or notebook interfaces may impact the workflow and hinder your gained agility. Some customers have addressed this challenge through custom bootstrap actions, steps, or external scripts that periodically check for new clusters and register a friendlier name in DNS. These approaches either put additional burden on the data practitioners or require additional resources to execute the scripts. In addition, there is typically some lag time associated with such scripts. They often don’t do a great job cleaning up the DNS records after the cluster has terminated, potentially resulting in a security risk. The solution in this post provides an automated, serverless approach to registering a friendly master node name for easy access to the web interfaces. 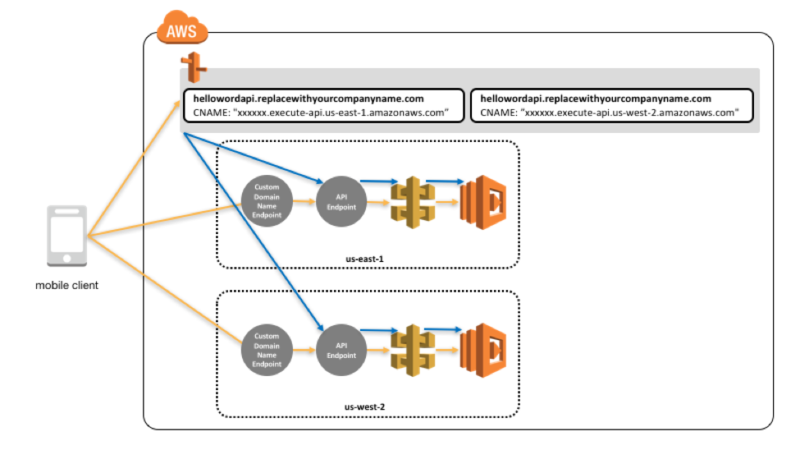 Inspired in part by our colleague’s post on Building a Dynamic DNS for Route 53 using CloudWatch Events and Lambda, this solution leverages Amazon CloudWatch Events, AWS Lambda, and Amazon Route 53 to dynamically register a CNAME with a friendly name in a Route 53 private hosted zone. Before I dive deeper, I review these key services and how they are part of this solution. In this solution, I cover the first type of event, which is automatically emitted by EMR when the cluster state changes. Based on the state of this event, either create or update the DNS record in Route 53 when the cluster state changes to STARTING, or delete the DNS record when the cluster is no longer needed and the state changes to TERMINATED. For more information about all EMR event details, see Monitor CloudWatch Events. A private hosted zone is a container that holds information about how to route traffic for a domain and its subdomains within one or more VPCs. Private hosted zones enable you to use custom DNS names for your internal resources without exposing the names or IP addresses to the internet. Route 53 supports resource record sets with a wide range of record types. In this solution, you use a CNAME record that is used to specify a domain name as an alias for another domain (the ‘canonical’ domain). You use a friendly name of the cluster as the CNAME for the EMR master public DNS value. You are using private hosted zones because an EMR cluster is typically deployed within a private subnet and is accessed either from within the VPC or from on-premises resources over VPN or AWS Direct Connect. To resolve domain names in private hosted zones from your on-premises network, configure a DNS forwarder, as described in How can I resolve Route 53 private hosted zones from an on-premises network via an Ubuntu instance?. Lambda is a compute service that lets you run code without provisioning or managing servers. Lambda executes your code only when needed and scales automatically to thousands of requests per second. Lambda takes care of high availability, and server and OS maintenance and patching. You pay only for the consumed compute time. There is no charge when your code is not running. Lambda provides the ability to invoke your code in response to events, such as when an object is put to an Amazon S3 bucket or as in this case, when a CloudWatch event is emitted. As part of this solution, you deploy a Lambda function as a target that is invoked by CloudWatch Events when the event matches your rule. You also configure the necessary permissions based on the Lambda permissions model, including a Lambda function policy and Lambda execution role. Start with a user activity such as launching or terminating an EMR cluster. EMR automatically sends events to the CloudWatch Events stream. Locate the tag containing the friendly name to use as the CNAME for the cluster. The key name containing the friendly name should be The value should be specified as host.domain.com, where domain is the private hosted zone in which to update the DNS record. Update DNS based on the state in the event detail. If the state is STARTING, the function calls the Route 53 API to create or update a resource record set in the private hosted zone specified by the domain tag. This is a CNAME record mapped to MasterPublicDnsName. Conversely, if the state is TERMINATED, the function calls the Route 53 API to delete the associated resource record set from the private hosted zone. Because all of the components of this solution are serverless, use the AWS Serverless Application Model (AWS SAM) template to deploy the solution. AWS SAM is natively supported by AWS CloudFormation and provides a simplified syntax for expressing serverless resources, resulting in fewer lines of code. For this solution, the SAM template has 76 lines of text as compared to 142 lines without SAM resources (and writing the template in YAML would be even slightly smaller). The solution can be deployed using the AWS Management Console, AWS Command Line Interface (AWS CLI), or AWS SAM Local. Before SAM, you would use the AWS::Lambda::Function resource type to define your Lambda function. You would then need a resource to define the permissions for the function (AWS::Lambda::Permission), another resource to define a Lambda execution role (AWS::IAM::Role), and finally a CloudWatch Events resource (Events::Rule) that triggers this function. With SAM, you need to define just a single resource for your function, AWS::Serverless::Function. Using this single resource type, you can define everything that you need, including function properties such as function handler, runtime, and code URI, as well as the required IAM policies and the CloudWatch event. CodeUri – Before you can deploy a SAM template, first upload your Lambda function code zip to S3. You can do this manually or use the aws cloudformation package CLI command to automate the task of uploading local artifacts to a S3 bucket, as shown later. Lambda execution role and permissions – You are not specifying a Lambda execution role in the template. Rather, you are providing the required permissions as IAM policy documents. When the template is submitted, CloudFormation expands the AWS::Serverless::Function resource, declaring a Lambda function and an execution role. The created role has two attached policies: a default AWSLambdaBasicExecutionRole and the inline policy specified in the template. CloudWatch Events rule – Instead of specifying a CloudWatch Events resource type, you are defining an event source object as a property of the function itself. When the template is submitted, CloudFormation expands this into a CloudWatch Events rule resource and automatically creates the Lambda resource-based permissions to allow the CloudWatch Events rule to trigger the function. 1.) Log in to the CloudFormation console and choose Create stack. NOTE: If you are trying this solution outside of us-east-1, then you should download the necessary files, upload them to the buckets in your region, edit the script as appropriate and then run it or use the CLI deployment method below. 4.) On the Specify Details page, keep or modify the stack name and choose Next. 5.) On the Options page, choose Next. Acknowledge the two Transform access capabilities. This allows the CloudFormation transform to create the required IAM resources with custom names. Under Transforms, choose Create Change Set. 7.) Choose Execute to deploy the template. Download the Lambda function code emr-dns-setter.py and the SAM template emr-dns-setter-sam.json to your local machine. Use the aws cloudformation package CLI command to upload the package. Successfully packaged artifacts and wrote output template to file serverless-output.template. To test the solution, launch an EMR cluster. The Lambda function looks for the cluster_name tag associated with the EMR cluster. Make sure to specify the friendly name of your cluster as host.domain.com where the domain is the private hosted zone in which to create the CNAME record. Here is a sample CLI command to launch a cluster within a specific subnet in a VPC with the required tag cluster_name. After the cluster is launched, log in to the Route 53 console. In the left navigation pane, choose Hosted Zones to view the list of private and public zones currently configured in Route 53. 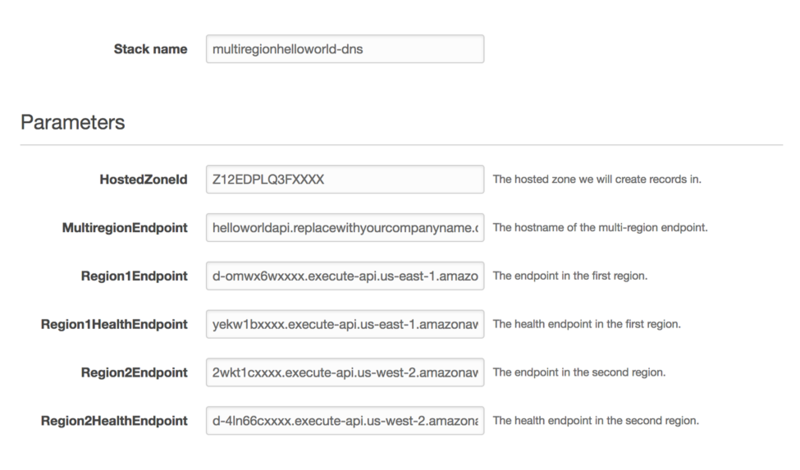 Select the hosted zone that you specified in the ZONE tag when you launched the cluster. Verify that the resource records were created. You can also monitor the CloudWatch Events metrics that are published to CloudWatch every minute, such as the number of TriggeredRules and Invocations. Now that you’ve verified that the Lambda function successfully updated the Route 53 resource records in the zone file, terminate the EMR cluster and verify that the records are removed by the same function. This solution provides a serverless approach to automatically assigning a friendly name for your EMR cluster for easy access to popular notebooks and other web interfaces. CloudWatch Events also supports cross-account event delivery, so if you are running EMR clusters in multiple AWS accounts, all cluster state events across accounts can be consolidated into a single account. I hope that this solution provides a small glimpse into the power of CloudWatch Events and Lambda and how they can be leveraged with EMR and other AWS big data services. For example, by using the EMR step state change event, you can chain various pieces of your analytics pipeline. You may have a transient cluster perform data ingest and, when the task successfully completes, spin up an ETL cluster for transformation and upload to Amazon Redshift. The possibilities are truly endless. Way back in 2013, anti-piracy prosecutor Fredrik Ingblad filed a motion targeting two key Pirate Bay domain names – ThePirateBay.se and PirateBay.se. Ingblad filed a complaint against Punkt SE (IIS), the organization responsible for Sweden’s top level .SE domain, arguing that the domains are tools that The Pirate Bay uses to infringe copyright. In April 2015 the case was heard and a month later the Stockholm District Court ruled that The Pirate Bay should forfeit both ThePirateBay.se and PirateBay.se to the state. The case later went to appeal. In May 2016, the Svea Court of Appeal handed down its decision which upheld the decision of the Stockholm District Court, finding that since they assisted with crimes, the domains could be seized. With that established a question remained – should the domains be seized from Pirate Bay co-founder and domain owner Fredrik Neij or from IIS, the organization responsible for Sweden’s top-level .SE domain? The Court subsequently found that domain names should be considered a type of intellectual property, property owned by the purchaser of the domain. In this case, therefore, IIS was not considered the owner of the Pirate Bay domains, Fredrik Neij was. Neij subsequently appealed to the Supreme Court, arguing that the District Court and the Court of Appeal wrongly concluded that a domain name is a type of property that can be confiscated. Today the Supreme Court handed down its decision, siding with the lower courts and determining that the domains – ThePirateBay.se and PirateBay.se – can indeed be seized by the state. “The Supreme Court declares that the right to domain names constitutes property that may be forfeited as the Court of Appeal previously found,” its judgment reads. Since the decision was handed down, things have been moving quickly. 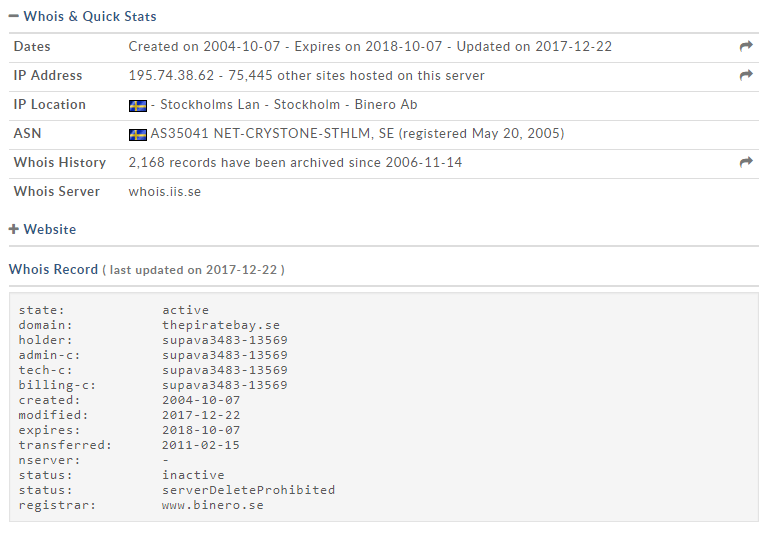 Kjetil Jensen of Online Group, the parent company of domain registry Binero, informs TorrentFreak that the police have already moved to take over the domains in question. “Today Binero, Binero.se, (registrar for thepiratebay.se and piratebay.se) received an executive request from Swedish Police to take over ownership of the domain names thepiratebay.se and piratebay.se because the Swedish Supreme Court now allows the domain names to be seized,” Jensen says. While Binero will cooperate with the authorities, the company doesn’t believe that seizure will solve the online copyright infringement problem. “Binero considers that the confiscation of a domain name is an ineffective approach to prevent criminal activity on the internet,” Jensen says. 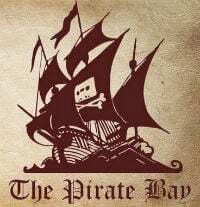 Indeed, The Pirate Bay saw this day coming a long way off and has already completely migrated to its original domain, ThePirateBay.org. Despite the ruling, the site remains fully accessible, but it appears a line has been drawn in the sand in Sweden when it comes to domains that are used to break the law. They will be easier to seize in future, thanks to this lengthy legal process. As movie and TV show piracy has migrated from the desktop towards mobile and living room-based devices, copyright holders have found the need to adapt to a new enemy. Dealing with streaming services is now high on the agenda, with third-party Kodi addons and various Android apps posing the biggest challenge. Alongside is the much less prevalent but rapidly growing pay IPTV market, in which thousands of premium channels are delivered to homes for a relatively small fee. In Australia, copyright holders are treating these services in much the same way as torrent sites. They feel that if they can force ISPs to block them, the problem can be mitigated. 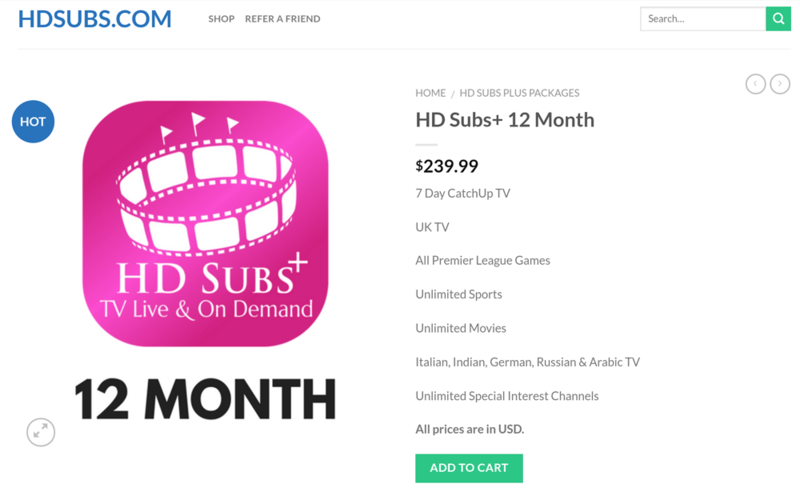 Most recently, movie and TV show giants Village Roadshow, Disney, Universal, Warner Bros, Twentieth Century Fox, and Paramount filed an application targeting HDSubs+, a pirate IPTV operation servicing thousands of Australians. Filed in October, the application for the injunction targets Australia’s largest ISPs including Telstra, Optus, TPG, and Vocus, plus their subsidiaries. The movie and TV show companies want them to quickly block HDSubs+, to prevent it from reaching its audience. 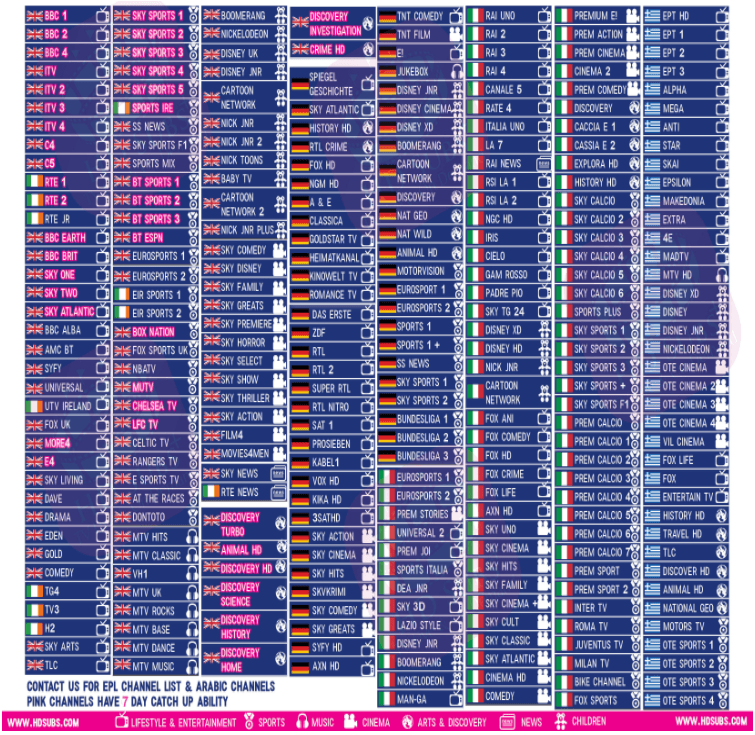 HDSubs+ IPTV package However, blocking isn’t particularly straightforward. 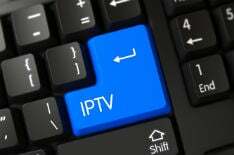 Due to the way IPTV services are setup a number of domains need to be blocked, including their sales platforms, EPG (electronic program guide), software (such as an Android app), updates, and sundry other services. In HDSubs+ case around ten domains need to be restricted but in court today, Village Roadshow revealed that probably won’t deal with the problem. HDSubs+ appears to be undergoing some kind of transformation, possibly to mitigate efforts to block it in Australia. ComputerWorld reports that it is now directing subscribers to update to a new version that works in a more evasive manner. If they agree, HDSubs+ customers are being migrated over to a service called PressPlayPlus. It works in the same way as the old system but no longer uses the domain names cited in Village Roadshow’s injunction application. This means that DNS blocks, the usual weapon of choice for local ISPs, will prove futile. Village Roadshow says that with this in mind it may be forced to seek enhanced IP address blocking, unless it is granted a speedy hearing for its application. This, in turn, may result in the normally cooperative ISPs returning to court to argue their case. “If that’s what you want to do, then you’ll have to amend the orders and let the parties know,” Judge John Nicholas said. As things stand, Village Roadshow will return to court on December 15 for a case management hearing but in the meantime, the Federal Court must deal with another IPTV-related blocking request. In common with its Australian and US-based counterparts, Hong Kong-based broadcaster Television Broadcasts Limited (TVB) has launched a similar case asking local ISPs to block another IPTV service. “Television Broadcasts Limited can confirm that we have commenced legal action in Australia to protect our copyright,” a TVB spokesperson told Computerworld. Court documents list 21 URLs maintaining the services. They will all need to be blocked by DNS or other means, if the former proves futile. Online reports suggest that there are similarities among the IPTV products listed above. A demo for the FunTV IPTV service is shown below. 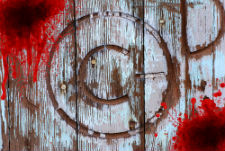 Could a Single Copyright Complaint Kill Your Domain? It goes without saying that domain names are a crucial part of any site’s infrastructure. Without domains, sites aren’t easily findable and when things go wrong, the majority of web users could be forgiven for thinking that they no longer exist. That was the case last week when Canada-based mashup site Sowndhaus suddenly found that its domain had been rendered completely useless. As previously reported, the site’s domain was suspended by UK-based registrar DomainBox after it received a copyright complaint from the IFPI. There are a number of elements to this story, not least that the site’s operators believe that their project is entirely legal. “We are a few like-minded folks from the mashup community that were tired of doing the host dance – new sites welcome us with open arms until record industry pressure becomes too much and they mass delete and ban us,” a member of the Sowndhaus team informs TF. “After every mass deletion there are a wave of producers that just retire and their music is lost forever. We decided to make a more permanent home for ourselves and Canada’s Copyright Modernization Act gave us the opportunity to do it legally. But while these are all valid concerns for the Sowndhaus community, there is a bigger picture here. There is absolutely no question that sites like YouTube and Soundcloud host huge libraries of mashups, yet somehow they hang on to their domains. Why would DomainBox take such drastic action? Is the site a real menace? “The IFPI have sent a few standard DMCA takedown notices [to Sowndhaus, indirectly], each about a specific track or tracks on our server, asking us to remove them and any infringing activity. Every track complained about has been transformative, either a mashup or a remix and in a couple of cases cover versions,” the team explains. But in all cases, it appears that IFPI and its agents didn’t take the time to complain to the site first. They instead went for the site’s infrastructure. “[IFPI] have never contacted us directly, even though we have a ‘report copyright abuse’ feature on our site and a dedicated copyright email address. We’ve only received forwarded emails from our host and domain registrar,” the site says. Sowndhaus believes that the event that led to the domain suspension was caused by a support ticket raised by the “RiskIQ Incident Response Team”, who appear to have been working on behalf of IFPI. “We were told by DomainBox…’Please remove the unlawful content from your website, or the domain will be suspended. Please reply within the next 5 working days to ensure the request was actioned’,” Sowndhaus says. But they weren’t given five days, or even one. DomainBox chose to suspend the Sowndhaus.com domain name immediately, rendering the site inaccessible and without even giving the site a chance to respond. “They didn’t give us an option to appeal the decision. They just took the IFPI’s word that the files were unlawful and must be removed,” the site informs us. Intrigued at why DomainBox took the nuclear option, TorrentFreak sent several emails to the company but each time they went unanswered. We also sent emails to Mesh Digital Ltd, DomainBox’s operator, but they were given the same treatment. We wanted to know on what grounds the registrar suspended the domain but perhaps more importantly, we wanted to know if the company is as aggressive as this with its other customers. To that end we posed a question: If DomainBox had been entrusted with the domains of YouTube or Soundcloud, would they have acted in the same manner? We can’t put words in their mouth but it seems likely that someone in the company would step in to avoid a PR disaster on that scale. Of course, both YouTube and Soundcloud comply with the law by taking down content when it infringes someone’s rights. It’s a position held by Sowndhaus too, even though they do not operate in the United States. “We comply fully with the Copyright Act (Canada) and have our own policy of removing any genuinely infringing content,” the site says, adding that users who infringe are banned from the platform. While there has never been any suggestion that IFPI or its agents asked for Sowndhaus’ domain to be suspended, it’s clear that DomainBox made a decision to do just that. In some cases that might have been warranted, but registrars should definitely aim for a clear, transparent and fair process, so that the facts can be reviewed and appropriate action taken. It’s something for people to keep in mind when they register a domain in future. Many customers are looking to run their services at global scale, deploying their backend to multiple regions. In this post, we describe how to deploy a Serverless API into multiple regions and how to leverage Amazon Route 53 to route the traffic between regions. We use latency-based routing and health checks to achieve an active-active setup that can fail over between regions in case of an issue. We leverage the new regional API endpoint feature in Amazon API Gateway to make this a seamless process for the API client making the requests. This post does not cover the replication of your data, which is another aspect to consider when deploying applications across regions. Currently, the default API endpoint type in API Gateway is the edge-optimized API endpoint, which enables clients to access an API through an Amazon CloudFront distribution. This typically improves connection time for geographically diverse clients. By default, a custom domain name is globally unique and the edge-optimized API endpoint would invoke a Lambda function in a single region in the case of Lambda integration. You can’t use this type of endpoint with a Route 53 active-active setup and fail-over. Deploy your Rest API stack, consisting of API Gateway and Lambda, in two regions, such as us-east-1 and us-west-2. Choose the regional API endpoint type for your API. A Route 53 health check must have an endpoint to call to check the health of a service. You could do a simple ping of your actual Rest API methods, but instead provide a specific method on your Rest API that does a deep ping. That is, it is a Lambda function that checks the status of all the dependencies. In the case of the Hello World API, you don’t have any other dependencies. In a real-world scenario, you could check on dependencies as databases, other APIs, and external dependencies. Route 53 health checks themselves cannot use your custom domain name endpoint’s DNS address, so you are going to directly call the API endpoints via their region unique endpoint’s DNS address. The following sections describe how to set up this solution. You can find the complete solution at the blog-multi-region-serverless-service GitHub repo. Clone or download the repository locally to be able to do the setup as described. A hosted zone registered in Amazon Route 53. This is used for defining the domain name of your API endpoint, for example, helloworldapi.replacewithyourcompanyname.com. You can use a third-party domain name registrar and then configure the DNS in Amazon Route 53, or you can purchase a domain directly from Amazon Route 53. Start by creating a small “Hello World” Lambda function that sends back a message in the region in which it has been deployed. """Lambda handler for getting the hello world message.""" """Lambda handler for getting the health.""" Deploy both of these using an AWS Serverless Application Model (SAM) template. SAM is a CloudFormation extension that is optimized for serverless, and provides a standard way to create a complete serverless application. You can find the full helloworld-sam.yaml template in the blog-multi-region-serverless-service GitHub repo. You are using inline Swagger to define your API so you can substitute the current region in the x-amazon-apigateway-integration section. Most of the Swagger template covers CORS to allow you to test this from a browser. You are also using substitution to populate the environment variable used by the “Hello World” method with the region into which it is being deployed. The Swagger allows you to use the same SAM template in both regions. The API was created with the default endpoint type of Edge Optimized. Switch it to Regional. In the Amazon API Gateway console, select the API that you just created and choose the wheel-icon to edit it. In the edit screen, select the Regional endpoint type and save the API. Do the same in both regions. Grab the URL for the API in the console by navigating to the method in the prod stage. Write down the domain name for the URL in each region (for example, 2wkt1cxxxx.execute-api.us-west-2.amazonaws.com), as you need that later when you deploy the Route 53 setup. Next, create an Amazon API Gateway custom domain name endpoint. As part of using this feature, you must have a hosted zone and domain available to use in Route 53 as well as an SSL certificate that you use with your specific domain name. Go through the remaining steps and validate the certificate for each region before moving on. You are now ready to create the endpoints. In the Amazon API Gateway console, choose Custom Domain Names, Create Custom Domain Name. The domain name is the same as what you requested earlier through ACM. The endpoint configuration should be regional. Select the ACM Certificate that you created earlier. 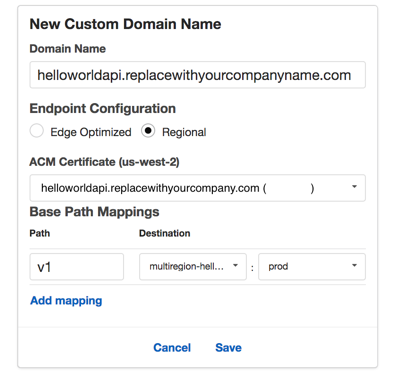 You need to create a base path mapping that connects back to your earlier API Gateway endpoint. Set the base path to v1 so you can version your API, and then select the API and the prod stage. Note the value for Target Domain Name as you need that for the next step. Do this for both regions. Use the global Route 53 service to provide DNS lookup for the Rest API, distributing the traffic in an active-active setup based on latency. You can find the full CloudFormation template in the blog-multi-region-serverless-service GitHub repo. The domain names from the API Gateway “prod”-stage go into Region1HealthEndpoint and Region2HealthEndpoint. The domain names from the custom domain name’s target domain name goes into Region1Endpoint and Region2Endpoint. Here’s how you can use this from the browser and test the failover. 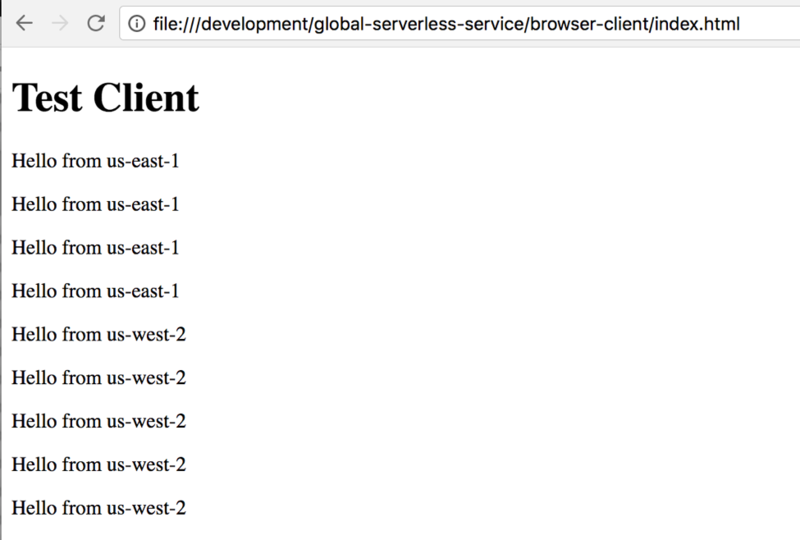 Find all of the files for this test in the browser-client folder of the blog-multi-region-serverless-service GitHub repo. You can test failover by changing the environment variable in your health check Lambda function. In the Lambda console, select your health check function and scroll down to the Environment variables section. For the STATUS key, modify the value to fail. You have implemented a simple way to do multi-regional serverless applications that fail over seamlessly between regions, either being accessed from the browser or from other applications/services. You achieved this by using the capabilities of Amazon Route 53 to do latency based routing and health checks for fail-over. 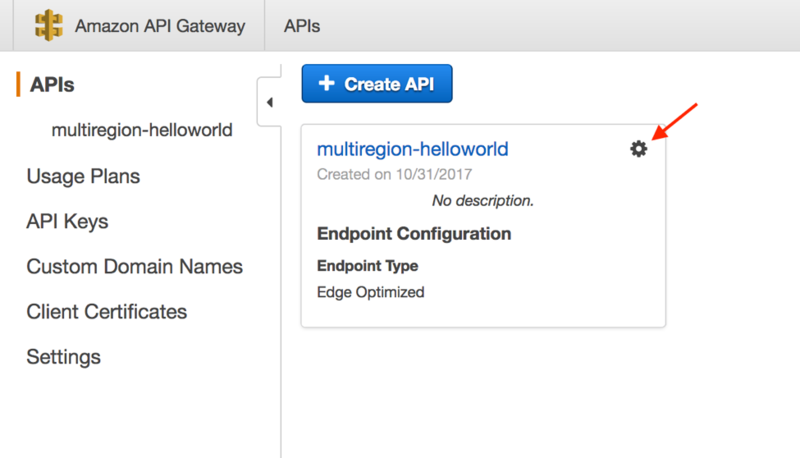 You unlocked the use of these features in a serverless application by leveraging the new regional endpoint feature of Amazon API Gateway. The setup was fully scripted using CloudFormation, the AWS Serverless Application Model (SAM), and the AWS CLI, and it can be integrated into deployment tools to push the code across the regions to make sure it is available in all the needed regions. For more information about cross-region deployments, see Building a Cross-Region/Cross-Account Code Deployment Solution on AWS on the AWS DevOps blog. Today we’re launching support for multiple TLS/SSL certificates on Application Load Balancers (ALB) using Server Name Indication (SNI). You can now host multiple TLS secured applications, each with its own TLS certificate, behind a single load balancer. 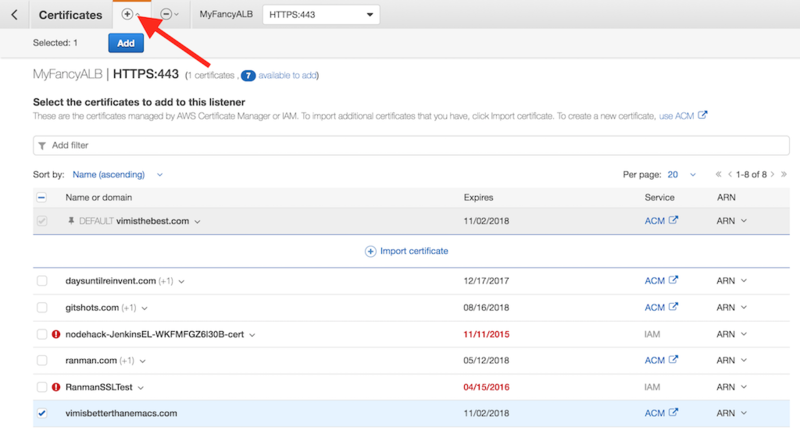 In order to use SNI, all you need to do is bind multiple certificates to the same secure listener on your load balancer. ALB will automatically choose the optimal TLS certificate for each client. These new features are provided at no additional charge. If you’re looking for a TL;DR on how to use this new feature just click here. If you’re like me and you’re a little rusty on the specifics of Transport Layer Security (TLS) then keep reading. People tend to use the terms SSL and TLS interchangeably even though the two are technically different. SSL technically refers to a predecessor of the TLS protocol. To keep things simple I’ll be using the term TLS for the rest of this post. TLS is a protocol for securely transmitting data like passwords, cookies, and credit card numbers. It enables privacy, authentication, and integrity of the data being transmitted. TLS uses certificate based authentication where certificates are like ID cards for your websites. You trust the person that signed and issued the certificate, the certificate authority (CA), so you trust that the data in the certificate is correct. When a browser connects to your TLS-enabled ALB, ALB presents a certificate that contains your site’s public key, which has been cryptographically signed by a CA. This way the client can be sure it’s getting the ‘real you’ and that it’s safe to use your site’s public key to establish a secure connection. With SNI support we’re making it easy to use more than one certificate with the same ALB. The most common reason you might want to use multiple certificates is to handle different domains with the same load balancer. It’s always been possible to use wildcard and subject-alternate-name (SAN) certificates with ALB, but these come with limitations. Wildcard certificates only work for related subdomains that match a simple pattern and while SAN certificates can support many different domains, the same certificate authority has to authenticate each one. That means you have reauthenticate and reprovision your certificate everytime you add a new domain. One of our most frequent requests on forums, reddit, and in my e-mail inbox has been to use the Server Name Indication (SNI) extension of TLS to choose a certificate for a client. 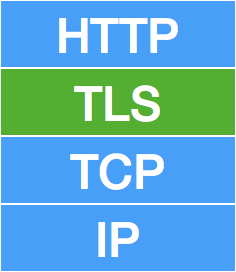 Since TLS operates at the transport layer, below HTTP, it doesn’t see the hostname requested by a client. SNI works by having the client tell the server “This is the domain I expect to get a certificate for” when it first connects. The server can then choose the correct certificate to respond to the client. All modern web browsers and a large majority of other clients support SNI. In fact, today we see SNI supported by over 99.5% of clients connecting to CloudFront. ALB’s smart certificate selection goes beyond SNI. In addition to containing a list of valid domain names, certificates also describe the type of key exchange and cryptography that the server supports, as well as the signature algorithm (SHA2, SHA1, MD5) used to sign the certificate. To establish a TLS connection, a client starts a TLS handshake by sending a “ClientHello” message that outlines the capabilities of the client: the protocol versions, extensions, cipher suites, and compression methods. Based on what an individual client supports, ALB’s smart selection algorithm chooses a certificate for the connection and sends it to the client. ALB supports both the classic RSA algorithm and the newer, hipper, and faster Elliptic-curve based ECDSA algorithm. ECDSA support among clients isn’t as prevalent as SNI, but it is supported by all modern web browsers. Since it’s faster and requires less CPU, it can be particularly useful for ultra-low latency applications and for conserving the amount of battery used by mobile applications. Since ALB can see what each client supports from the TLS handshake, you can upload both RSA and ECDSA certificates for the same domains and ALB will automatically choose the best one for each client. I’ll use a few example websites like VimIsBetterThanEmacs.com and VimIsTheBest.com. I’ve purchased and hosted these domains on Amazon Route 53, and provisioned two separate certificates for them in AWS Certificate Manager (ACM). If I want to securely serve both of these sites through a single ALB, I can quickly add both certificates in the console. First, I’ll select my load balancer in the console, go to the listeners tab, and select “view/edit certificates”. Next, I’ll use the “+” button in the top left corner to select some certificates then I’ll click the “Add” button. There are no more steps. If you’re not really a GUI kind of person you’ll be pleased to know that it’s also simple to add new certificates via the AWS Command Line Interface (CLI) (or SDKs). ALB Access Logs now include the client’s requested hostname and the certificate ARN used. If the “hostname” field is empty (represented by a “-“) the client did not use the SNI extension in their request. You can use any of your certificates in ACM or IAM. You can bind multiple certificates for the same domain(s) to a secure listener. Your ALB will choose the optimal certificate based on multiple factors including the capabilities of the client. If the client does not support SNI your ALB will use the default certificate (the one you specified when you created the listener). There are three new ELB API calls: AddListenerCertificates, RemoveListenerCertificates, and DescribeListenerCertificates. 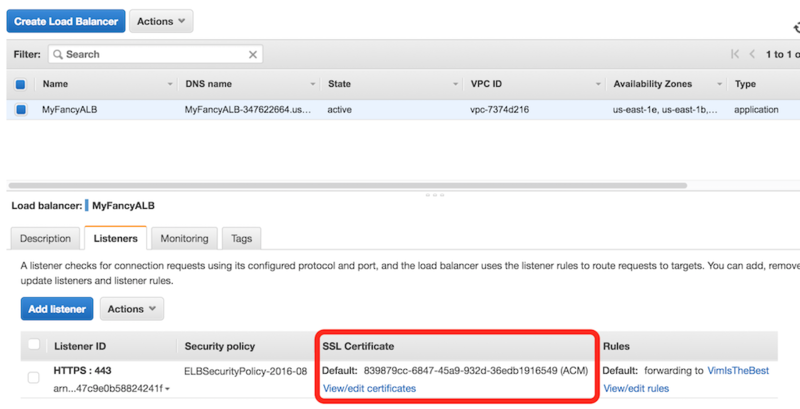 You can bind up to 25 certificates per load balancer (not counting the default certificate). These new features are supported by AWS CloudFormation at launch. You can see an example of these new features in action with a set of websites created by my colleague Jon Zobrist: https://www.exampleloadbalancer.com/. Overall, I will personally use this feature and I’m sure a ton of AWS users will benefit from it as well. I want to thank the Elastic Load Balancing team for all their hard work in getting this into the hands of our users. 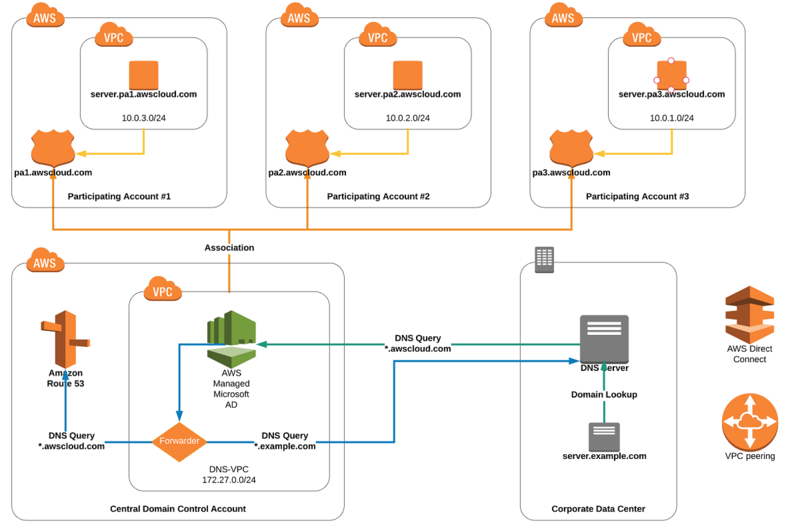 AWS recently released federated single sign-on to Amazon QuickSight, as announced on the Amazon QuickSight Now Supports Federated Single Sign-On Using SAML 2.0 post. However, SAML 2.0 is not the only way to federate users for Amazon QuickSight. Amazon Cognito user pools are full-fledged identity providers (IdP) that you can use to maintain a user directory. The directory can scale to hundreds of millions of users and also add sign-up and sign-in support to your mobile or web applications. 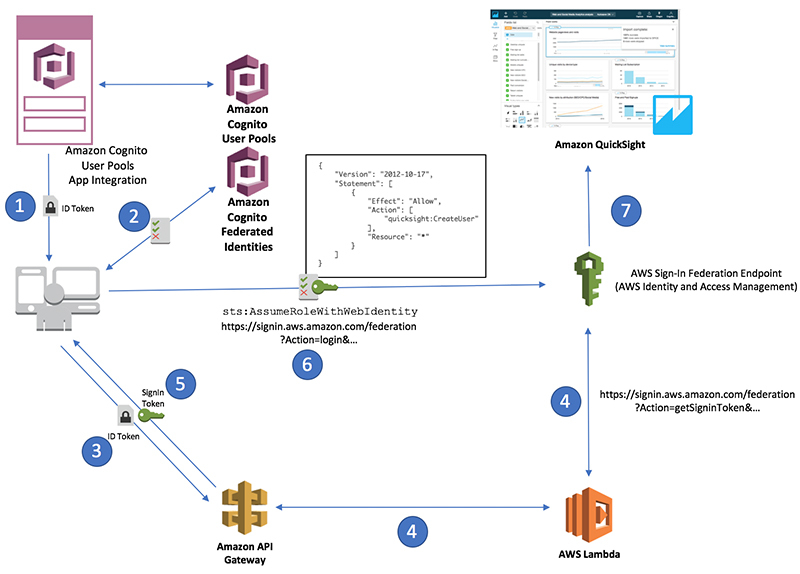 You can provide access from an Amazon Cognito user pool to Amazon QuickSight with IAM identity federation in a serverless way. This solution uses Amazon API Gateway and AWS Lambda as a backend fronted by a simple web app. New features such as Amazon Cognito user pools app Integration make it even easier to add sign-in and sign-up logic to your application and federation use cases. Here’s how you can accomplish this solution. The Amazon Cognito hosted UI provided by the app integration domain performs all sign-in, sign-up, verification, and authentication logic for the web app. This allows you to register and authenticate users. After a user is authenticated with a valid user name and password, an OpenID Connect token (ID token) is sent to Amazon Cognito Federated Identities. 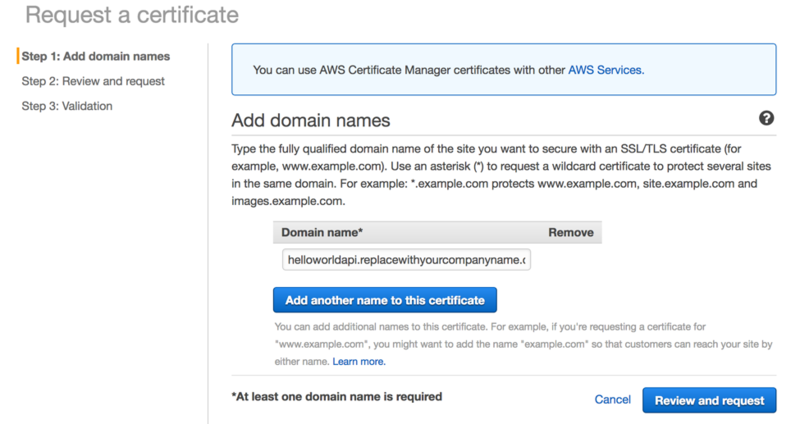 The token retrieves temporary AWS credentials based on an IAM role with “quickSight:CreateUser” permissions. These credentials are used to build a session string that is encoded into the URL https://signin.aws.amazon.com/federation?Action=getSigninToken. The ID token, along with the encoded URL, is sent to API Gateway, which in turn verifies the token with a user pool authorizer to authorize the API call. The URL is passed on to a Lambda function that calls the AWS SSO federation endpoint to retrieve a sign-In token. The token is sent back to the application. The application calls the federation endpoint at https://signin.aws.amazon.com/federation?Action=login with the valid sign-in token. AWS SSO processes the federation request, authenticates the user, and forwards the authentication token to Amazon QuickSight, which then uses the authentication token and authorizes user access. How can you use, configure and test this serverless solution in your own AWS account? I created a simple SAM (Serverless Application Model) template that can be used to spin up all the resources needed for the solution. You could also clone the aws-cognito-quicksight-auth GitHub repository instead. Use the information from the console or CLI command to replace the related resource identifiers in the file “auth.js”. In the Amazon Cognito User Pools console, select the pool named QuickSightUsers generated by CloudFormation. Choose App integration, App client settings and then select the option Cognito User Pool. Add the CloudFront distribution address (with https://, as SSL is a requirement for the callback/sign out URLs) and make sure that the address matches the related settings in the “auth.js” file exactly. For Allowed OAuth Flows, select implicit grant. For Allowed OAuth Scopes, select openid. The preceding resources don’t exist anymore. The CloudFormation stack that generated them was deleted. I recommend that you delete your stack after testing, for cleanup purposes. Deleting the stack also deletes all the resources. Congratulations, the configuration part is now finished! It’s time to create your first user. Access your CloudFront distribution address in a browser and choose SIGN IN / SIGN UP. On the Amazon Cognito hosted UI, choose SIGN UP and provide a user name, password and a valid email. You receive a verification code in email to confirm the user. In a production system, you might not want to allow open access to your dashboards. As you now have a confirmed user, you can disable the sign-up functionality altogether to avoid letting other users sign themselves up. In the Amazon Cognito User Pools console, choose General settings, Policies and select Only allow administrators to create users. In the web app, you can now sign in as the Amazon Cognito user to access the Amazon QuickSight console. Because this is the first time this user is accessing Amazon QuickSight with an IAM role, provide your email address and sign up as an Amazon QuickSight user. Enjoy your federated access to Amazon QuickSight! After you’re done testing, go to the CloudFormation console and delete the CognitoQuickSight stack to remove all the resources. Additionally, you could configure SAML federation for your user pool with a couple of clicks, following the instructions in the Amazon Cognito User Pools supports federation with SAML post. If you add more than one SAML IdP, Amazon Cognito can identify the provider to which to redirect the authentication request, based on the user’s corporate email address. It’s important to understand that while Amazon Cognito User Pools is authenticating (AuthN) the user, the IAM role created for the identity pool is authorizing (AuthZ) the user to perform actions on specific resources. As it is configured, the role only allows “quickSight:CreateUser” permissions. For additional permissions, modify the role accordingly, as in Setting Your IAM Policy. If your users create datasets, remember to add access to data sources such as Amazon S3. You can customize this solution further by adding multiple groups to your user pool and associating each group with different IAM roles. For more information, see Amazon Cognito Groups and Fine-Grained Role-Based Access Control. For instance, with role-based access control, it’s possible to have a group for Amazon QuickSight administrators and one for users. You can also modify the sign-In URL (Step 6) to redirect your user to any other service console, provided that the IAM role has appropriate permissions. After receiving a valid sign-in token from the SSO federation endpoint, the user is redirected to https://quicksight.aws.amazon.com. However, you can change the redirection to the main AWS console at https://console.aws.amazon.com. You could also change it to specific services, such as Amazon Redshift, Amazon EMR, Amazon Elasticsearch Service and Kibana (In this particular case the application needs to return an AWS Signature Version 4 – Sigv4 – signed URL based on the temporary credentials received from Cognito instead of calling the AWS Sign-In Federation endpoint), Amazon Kinesis, or AWS Lambda. Or, you can even customize a frontend portal with separate links to multiple specific services and resources that the user is only allowed to access provided that the IAM role being assumed has access to those services and resources. With the power, flexibility, security, scalability, and the new federation and application integration features of Amazon Cognito user pools, there’s no need to worry about the undifferentiated heavy lifting of maintaining your own identity servers. This allows you to focus on application logic and secure access to other great AWS services, such as Amazon QuickSight. Ed Lima is a Solutions Architect who helps AWS customers with their journey in the cloud. He has provided thought leadership to define and drive strategic direction for adoption of Amazon platforms and technologies, skillfully adapting and blending business requirements with technical aspects to achieve the best outcome helping implement well architected solutions. In his spare time, he enjoys snowboarding. For a country with a soaring crime rate, where violent car-jackings and other violent crime are reportedly commonplace, Internet piracy isn’t something that’s been high on the agenda in Peru. Nevertheless, under pressure from rightsholders, local authorities have now taken decisive action against the country’s most popular ‘pirate’ sites. On the orders of prosecutor Miguel Ángel Puicón, a specialized police unit carried out searches earlier this month looking for the people behind Pelis24 (Movies24) and Series24, sites that are extremely popular across all of South America, not just Peru. Local media reports that an initial search took place in the Los Olivos district of the Lima Province where two people were arrested in connection with the sites. On the same day, a second search was executed in the town of Rimac where a third person was detained. The case was launched following a rightsholder complaint to the Special Prosecutor’s Office for Customs Crimes and Intellectual Property in Lima. It stated that three domains – pelis24.com, pelis24.tv and series24.tv were offering unlicensed movies and TV shows to the public. “In view of the abundant evidence, the office requested measures indicative of the right to the criminal judge. A search was carried out in search of the property and the preliminary 48-hour detention of the people investigated was requested,” authorities said in a statement. The warrant not only covered seizure of physical items but also the domain names associated with the platforms. As shown in the image below, they now display the following seizure banner (translated from Spanish). Authorities say that a detailed preliminary investigation took place in order to corroborate the information provided by the complainant. Once the measures were approved by a judge, the Prosecutor’s Office acted in coordination with the Investigations Division of the High Technology Crimes unit to carry out the operation. According to Puicón, this is the first action against the operators of a pirate site in Peru. Local sources indicate that sentences for piracy can be as long as six years in serious cases. However, Peru has been exclusively tackling counterfeiting of physical discs, with online piracy being allowed to run rampant. “The Office of the Prosecutor has the competency to deal with crimes against intellectual property but has been working exclusively in cases of physical piracy,” Puicón says. It’s believed that at least a million Peruvians download infringing content from the Internet each week, a problem that will need to be tackled moving forward, when the authorities can gather the expertise to do so. 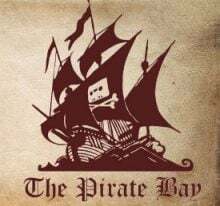 Three years ago in 2014, The Court of The Hague handed down its decision in a long-running case which had previously forced two Dutch ISPs, Ziggo and XS4ALL, to block The Pirate Bay. Ruling against local anti-piracy outfit BREIN, which brought the case, the Court decided that a blockade would be ineffective and also restrict the ISPs’ entrepreneurial freedoms. The Pirate Bay was unblocked while BREIN took its case to the Supreme Court, which in turn referred the matter to the EU Court of Justice for clarification. This June, the ECJ ruled that as a platform effectively communicating copyright works to the public, The Pirate Bay can indeed be blocked. The ruling meant there were no major obstacles preventing the Dutch Supreme Court from ordering a future ISP blockade. Clearly, however, BREIN wanted a blocking decision more quickly. A decision handed down today means the anti-piracy group will achieve that in just a few days’ time. The Hague Court of Appeal today ruled (Dutch) that the 2014 decision, which lifted the blockade against The Pirate Bay, is now largely obsolete. “According to the Court of Appeal, the Hague Court did not give sufficient weight to the interests of the beneficiaries represented by BREIN,” BREIN said in a statement. As a result, an IP address and DNS blockade of The Pirate Bay, similar to those already in place in the UK and other EU countries, will soon be put in place. BREIN says that four IP addresses will be affected along with hundreds of domain names through which the torrent platform can be reached. The ISPs have been given just 10 days to put the blocks in place and if they fail there are fines of 2,000 euros per day, up to a maximum of one million euros. “It is nice that obviously harmful and illegal sites like The Pirate Bay will be blocked again in the Netherlands,” says BREIN chief Tim Kuik. Today’s interim decision by the Court of Appeal will stand until the Supreme Court hands down its decision in the main case between BREIN and Ziggo / XS4ALL. Looking forward, it seems extremely unlikely that the Supreme Court will hand down a conflicting decision, so we’re probably already looking at the beginning of the end for direct accessibility of The Pirate Bay in the Netherlands. 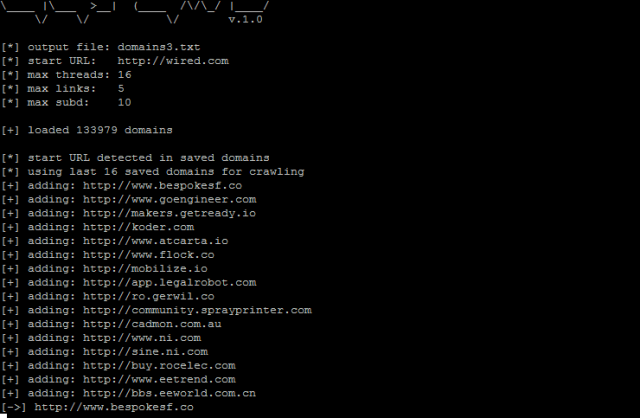 dcrawl is a simple, but smart, multithreaded web crawler for randomly gathering huge lists of unique domain names. dcrawl takes one site URL as input and detects all a href= links in the site’s body. Each found link is put into the queue. Successively, each queued link is crawled in the same way, branching out to more URLs found in links on each site’s body. Branching out only to predefined number of links found per one hostname. Read the rest of dcrawl – Web Crawler For Unique Domains now! Only available at Darknet.